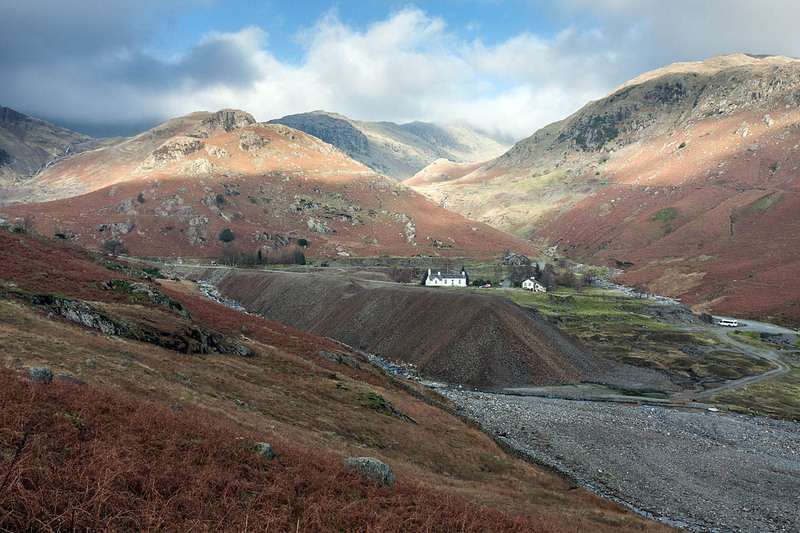 A Lake District rescue team warned hillgoers to lay off the booze after a five-hour night-time search for a missing man. Coniston Mountain Rescue Team was called out shortly after 2am on Sunday after reports an intoxicated wedding party guest had gone missing in the Coppermines Valley, in the shadow of the Old Man of Coniston. “Fifteen members and one of the team’s air-scenting search dogs were involved in the search, along with officers and a dog from Cumbria police. After an initial sweep of the area Cumbria police requested the attendance of a Coastguard Helicopter to search for the man using thermal-imaging technology. “The man was located uninjured at around 7am and the matter is now in the hands of Cumbria police. “Coniston MRT would like to remind members of the public that excess consumption of alcohol or the use of recreational drugs is ill advised if venturing out into the hills of the Lake District. Last month, Patterdale MRT had to deal with an abusive drunk casualty who had gone missing in the area of Greenside Mines on the slopes of Helvellyn. The search and subsequent rescue lasted five hours and involved two mountain rescue teams and six Lake District Mountain Rescue Search Dogs, the police, ambulance service and Coastguard helicopter crew. The injured man, who was able to leave hospital after a short stay, was reported to be abusive to both the volunteer rescue teams and the Coastguard crew. He subsequently contacted the team to thank them for rescuing him. The least the idiot concerned can do is make a healthy donation to the rescue teams involved and an apology to all the people who were woken up at 04:30 am and kept awake for an hour and a half by the Coast Guard helicopter searching between Coniston and Langdale,lots of locals and tourists not very happy at all with Saturday nights events. Cumbria Constabulary need to come down hard on this individual and the holiday cottage company involved may want to review its policies on stag and hen parties. Let's make this clear. The person who went for a walk to clear their head, did not ask for the search. The person was an adult and made a decision. Are we to be treated like children? I would not be happy if someone called out the emergency services for me in that situation. And why were Cumbria Police involved? Is it now illegal to walk in the dark? Either there is more to this than meets the eye or George Orwell's predictions have come true. Perhaps someone made the call out of a genuine concern for the safety of someone walking about in the dark in that type of place after drinking too much. Imagine the outcry if no one had called the emergency services and he’d ended up falling into an old mine, into a beck or off the edge of a crag. I can just see the headline. “Drunk wedding guest dies in disused Lake District mine because no one bothered to report him missing”. Continued blurring of paid and voluntary roles.